Ask a five-year old girl who her hero is and the answer is likely to be either a parent or an animated princess from the feature film Frozen. Unless, of course, you&apos;re a half-pint history buff like Ava Lane. The Lane family consists of her dad, Jerry (a veterinarian); her mother, Gina (a stay-at-home mom who occasionally handles managerial details at the vet office); her big brother, Caleb (6); and her baby brother, Byron (2). Gina was homeschooling Caleb last fall when Ava began picking up details from the lesson plan on the symbols of the United States. "We were discussing the White House and its importance to our country," Gina recalls. 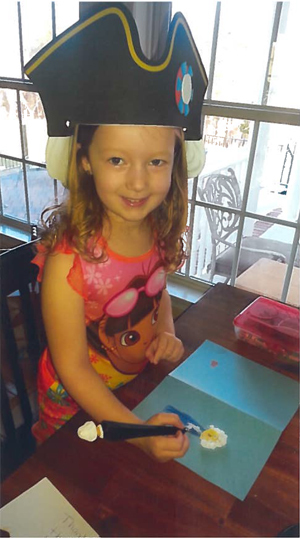 "And Ava just innocently and adorably looked at me and said, ‘Oh, where George Washington lives.&apos; And that&apos;s when I had to remind her that unfortunately he was no longer with us, that he had died." In response, Ava dissolved into tears, a reaction that Gina found so endearing that she quickly began filming her on her cellphone. "When she began to cry, I wished my husband was there because I got tickled. But it was genuine. It was real. I couldn&apos;t believe it. It was not expected whatsoever. So I just grabbed my phone and tried to capture it for him. And we have a lot of family in Maine, so we wanted to post it so that they could see it, too. She uploaded the video to her Facebook page and shared the post with friends and family. "And then," Gina explains, "things went kind of crazy." Crazy as in almost half a million views of the one-minute, seven-second video. Crazy as in emails from all over the country with notes commenting on Ava&apos;s cuteness in learning that her hero was, sadly, gone to the pages of history. "I don&apos;t even know really how people found it," Gina says. "I&apos;m not technologically savvy, so I don&apos;t know how people found it. I didn&apos;t have any tags; it didn&apos;t have anything like that. So it kind of caught me off guard. But people were reaching out about how they enjoyed it and it was funny and cute and whatnot. All very complimentary." The Lane family considered carefully what to do next. "We truly debated because we thought, ‘Do we need to take this video down?&apos; We are protective of our kids and didn&apos;t know what to do with all of this. It was really new to us." The family engaged the services of a social media curation service that now screens contact between the family and the public. There is a compensatory aspect to the relationship, but whatever profits result, the Lanes donate to a local family facing medical issues. "We thought this is a way that we can give back to the community as well," Gina explains. The VFTCB learned of Ava&apos;s presidential passion the same way most of the general public did, through social media. 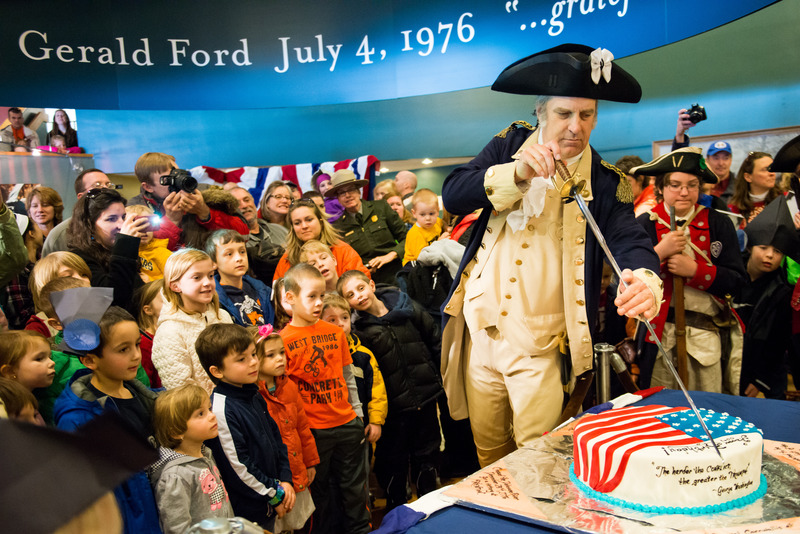 VFTCB President Bill Fitzgerald reached out to Ava, sending her an invitation with front-row-center access to General Washington&apos;s birthday party, part of the Presidents&apos; Day celebration at Valley Forge National Historical Park. The family will be spending the three-day weekend here, experiencing not only the history at Valley Forge but also a taste of Patriot Trails, our newest Revolutionary War experience. Patriot Trails links the significant sites in our quest for freedom into interactive itineraries that can be accessed on the go. Twenty-first-century storytelling - including video, social media and behind-the-scenes details - modernize the Colonial struggle for today&apos;s audiences. 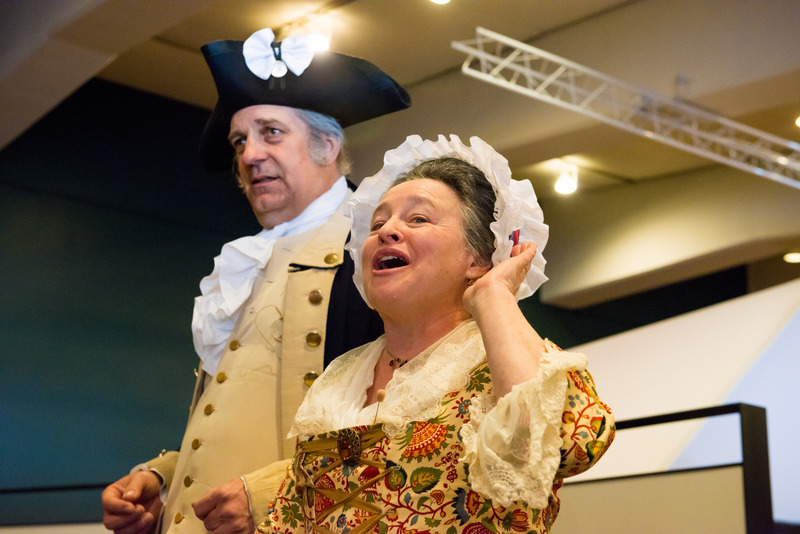 General Washington&apos;s popularity in the Lane home shows no sign of fading. "He is definitely a topic of conversation around the house," Gina explains. "There&apos;s just something about him: Every time she sees him on TV; if he pops up as a picture somewhere. Her one dollar bills are like her favorite thing in the entire world because they have his picture on it. So she won&apos;t spend them. You have to give her four quarters if you&apos;re trying to have her buy a toy or something. Because she won&apos;t spend a one-dollar bill." Is this interest in our first president perhaps leading her to a possible career in politics someday? Gina replies that, like most five year olds, Ava&apos;s career plans change almost daily: "She has gone from wanting to be the typical ballerina to a princess to a doctor like daddy to a human doctor. She wants to be a sheriff sometimes. And a cowgirl. Her idea of a sheriff is on a horse. She doesn&apos;t picture a sheriff in 2015. She pictures a sheriff from way back." For now, however, Ava is content to be George&apos;s biggest fan and count down the days - in number of "sleeps" - until she comes to Valley Forge. By February 22, the actual day of Washington&apos;s birth, she will be back in Virginia full of memories that have been Made In Montco. But Washington&apos;s Birthday has one more piece of significance for Ava. Ironically, it&apos;s also her mother&apos;s birthday. "What are the chances, right?" Gina asks. "It&apos;s really funny. I was going to be named either Martha or Georgina." If, like the Lanes, you want to escape for a three-day holiday of romance or history - or both! - on this weekend that combines Valentine&apos;s Day with Presidents&apos; Day, check out our winter promotional hotel packages. Be sure to share your posts, updates, pictures and stories using #MakeItMontco.